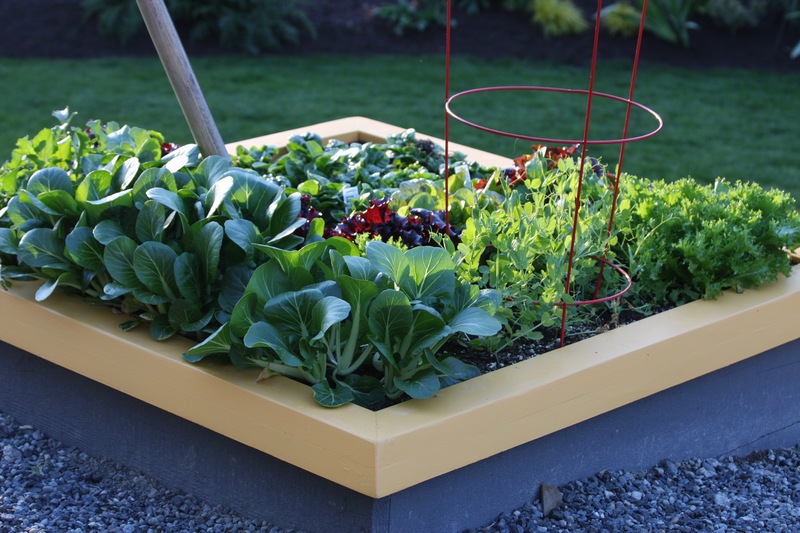 Planting a square foot salad garden is an easy way to bring some serious crunch into your life! Planting your raised bed with an array of different lettuces and greens creates not only a healthy garden, but a healthy you! You will not be able to resist making a salad every day and eating those vegetables raw fresh from the garden when you see the bounty that you will be able to harvest from a small space. If you live in an urban setting this is an ideal way to grow vegetables and to have fresh greens every night. You may even have more than you can eat like we did when we experimented with this garden! Using this type of plan makes it so easy to grow vegetables you won't believe that you had not tried it before. The Square foot Gardening method originated by Mel Bartholomew is one of the most tried and true ways to plant your raised vegetable bed. Here we have a video tutorial on how to create a Square foot salad garden for you to try! Let us know if you have a square foot garden and what you like to grow in it. Share pictures and stories so we can all become better healthier gardeners! I really like the raised bed in this video. Where can I buy it or how can I build one?